As our Denise DeCarli, age 49, confronts a staggering stage 4 colon cancer battle, many who love her are left wondering how we can best help. She has a house, yard and her dog Sydney that need taking care of, she is on a strict anti-cancer diet needing specific meal accommodations, and will be left with significant out-of-pocket medical expenses. While she is an amazingly strong, determined, capable woman, she more than has her hands full with an aggressive treatment plan and overwhelming responsibilities, and what we want for her is to be able to focus her time and energy on getting well…BEATING CANCER! found in her liver last December, she powered through two radiation surgeries to again go into remission for six months. 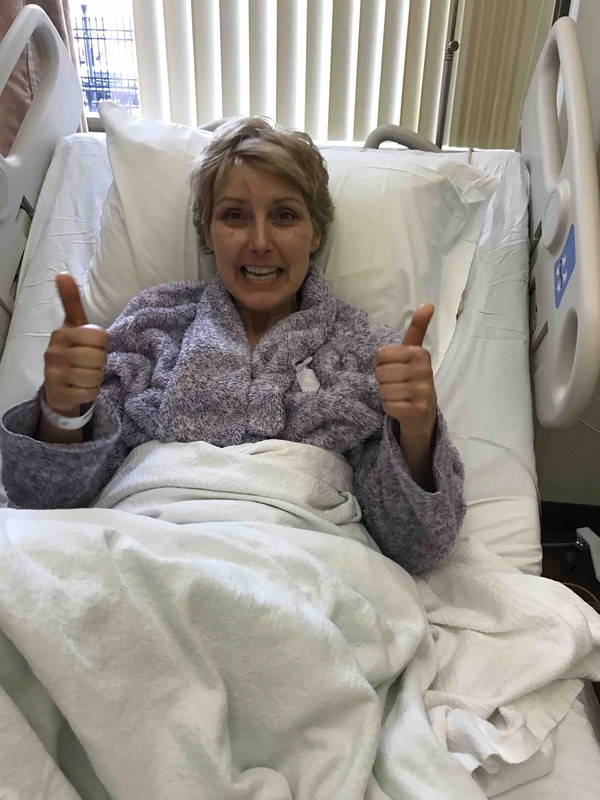 Her most recent scans have shown small growth on some of the tumors in her liver, which once again, Denise will tackle head on with a second full round of chemo. She will begin an aggressive treatment plan beginning next Friday, August 26th. 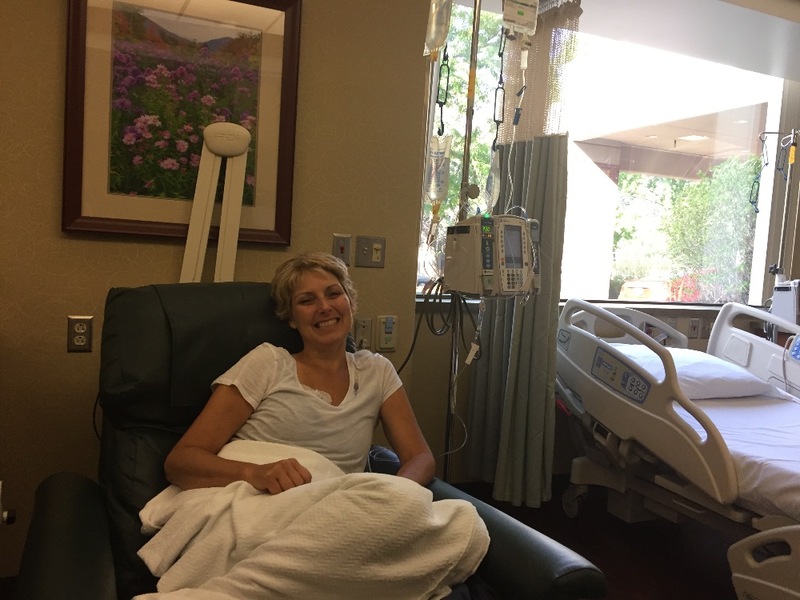 The plan calls for treatment infusions every two weeks at MSTI in Boise and will leave there with a chemo ball which will continue to deliver chemo for another two days. While this short summary briefly describes Denise’s experiences, no words can truly capture the daily positive attitude Denise brings to this journey. Major surgery, chemo and radiation can’t keep her down. She’s an inspiration to everyone around her. 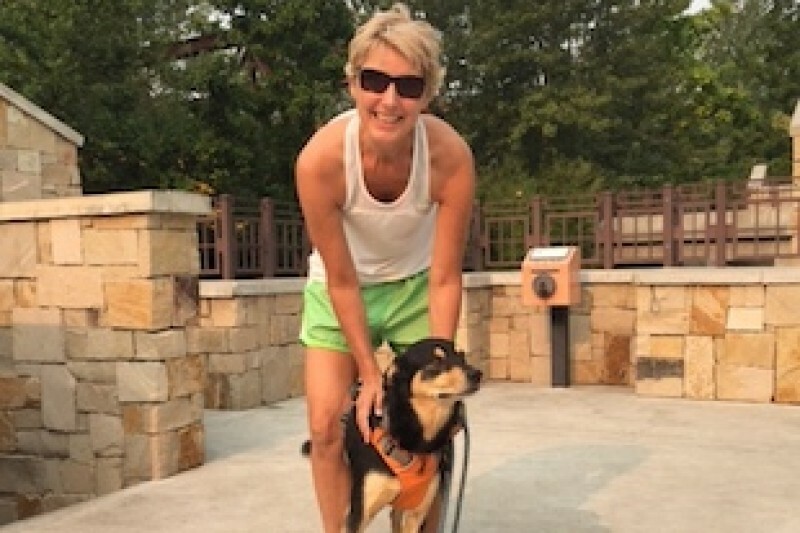 But she will need help with day to day tasks and by raising funds to cover out-of-pocket medical, and to hire help with house, meals and dog care, Denise will be able to give full attention to her treatment and recovery. If you are able to contribute financially to the Love for Denise fund, any amount would be most appreciated. If you are unable to contribute financially, your positive thoughts and prayers are also invaluable. Denise will be so grateful for any and all love and support as she fights her battle. Denise is extraordinary! She is otherwise incredibly healthy and with our help, SHE WILL CONQUER!!! Love and thanks for joining Team Denise! #12 and done! Thanks all for the ❤! Hi all. I am sitting here with our beautiful Denise as she is receiving treatment number two. She is all smiles as she is happy to be close to being able to say she has two treatments behind her. Thanks to all of you, we have raised close to $14,000 from 85 donors!!! Denise is ever so grateful for the support and is using the funds to cover expenses such as doggie daycare for Sydney, house cleaning, yard fall cleanup, acupuncture and healthy meals. Because of the help to cover the cost of these things, she is able to focus on spending her time and energy on healing! Thank you again for your very generous contributions! Enjoy your weekend! So many people graciously donating to help Denise fight cancer! The Love For Denise fund is at $12,816, thanks to 71 donors! Please continue to share the link! Where do I begin? Thank you doesn't seem fitting. I am extremely Thankful and Grateful for all of this support! I am overwhelmed and I am truly so blessed for all of the prayers, love and kindness from all of you. I am going to beat this thing and no matter what this journey brings my way I will always see the angels, gifts, love and light in life. Today is my first treatment and it is going fantastically. This is one of twelve 3-day treatments and have faith its going to kick this thing back into a very long remission. Thank you again and All My Love to you! You are SO amazing Denise!! Keep your mind on the things you want and off the things you don't want! Sending love and positive energy from your Colorado Techstars Family. Sending good vibes from the East Coast!